Happy Sunday! Before we get down to business with our new release tomorrow, I wanted to sneak in a quick post. The incredibly talented Joy Taylor from Simple By Design tagged me in a cool "Getting To Know Me" series. I had a lot of fun reading her Getting To Know Me post. She has such a light and airy CAS style - my favorite style - and she is definitely one of my favorite bloggers in this genre! I'm actually working on quite a few at the moment. I'm finishing up some last minute designs and videos for our upcoming September Release - can't wait to share everything with you guys! I'm also finishing up some illustrating for spring stamp designs. Outside of card making, I'm working on some traditional illustrations and prepping them for Copic coloring. And I've started a sketch for a watercolor painting that I'm really excited to do. Hmm...I am inspired by so many different things. Sometimes it's a technique, or a textile pattern. I love to look at different fabrics and patterns. Magazine layouts and website layouts are also a great source of inspiration for me. Of course, Pinterest and stationery. Oh, and all of the bloggers out there! I like to try and use an inspiration piece completely different from my style and adapt it to my style. Somewhere along the way it tends to morph into something completely different than what I had in mind...and usually better! What method/process do you apply to each of your creative projects and how long does each project take to complete? Oh boy. This one is a doozy. There really is no method to my madness! I think the one thing I do consistently is to just start stamping. I will get out some typing paper and just start testing out the stamps. Once I start stamping, it gets the juices flowing - different techniques, layering, arrangement, etc. I find that I'm much more productive if I just "play" first. Before I know it, I'm reaching for the cardstock and ready to start executing. How long? Again, this varies greatly. Sometimes I can try to work on a design for hours - and then suddenly something clicks and from the single design I can knock out another 2 or 3 spin-offs in less than 30 minutes. I've learned that for me, if a design is taking too long, I just push it to the side and do something else. 9 times out of 10, some time a little later, it will come to me out of no where and I will know exactly what I want to do with it. I am always on a constant mission to learn something new...to find a new challenge. Once I've got it down, I'm looking for the next thing to try. I'm one of those people who would order three appetizers over one entree so that I can try several different things. So I tend to try just about anything. Except cute. Cute is my kryptonite. LOL However, I do tend to gravitate towards CAS. I love to create something simple with a little twist. White cardstock. Definitely white cardstock. My Big Shot. I love die cutting and don't think I could give that up. Nope. And stamps/ink. I know that seems pretty obvious, but I am a stamper at heart and absolutely love love love stamping! Now it is my turn to tag someone. And I am tagging Maureen Merritt. Maureen is a current member of the Wplus9 Design Team and a creative power house. I can't wait to get to know more about her creative process. Be on the look out for her post next week! Thanks so much for stopping by. I will see you in a couple of hours for our September Release! 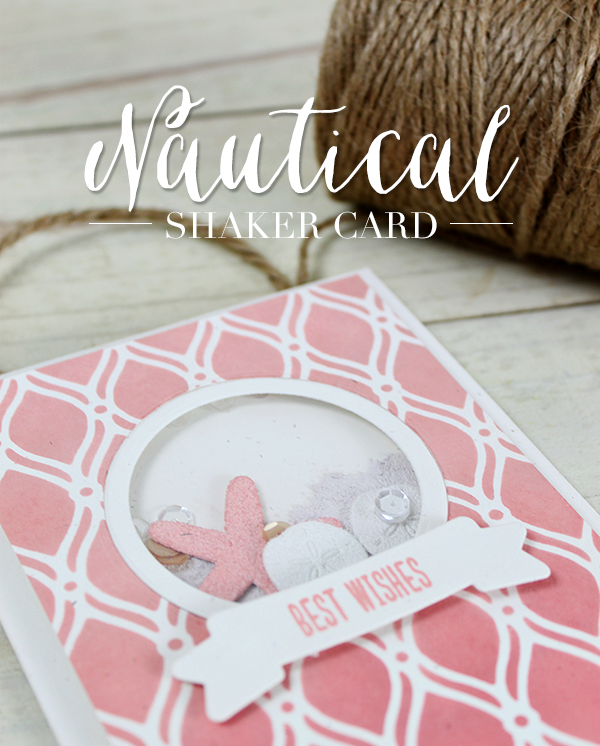 I decided to tackle a shaker card. I've seen so many of them all over blogland that it is impossible to cite just one source. I paired it with another source of inspiration - vacation. Ah, how can vacation not inspire you? We spent an entire day at the beach finding live sand dollars and starfish recently while on vacation and I just had to incorporate this into my design. 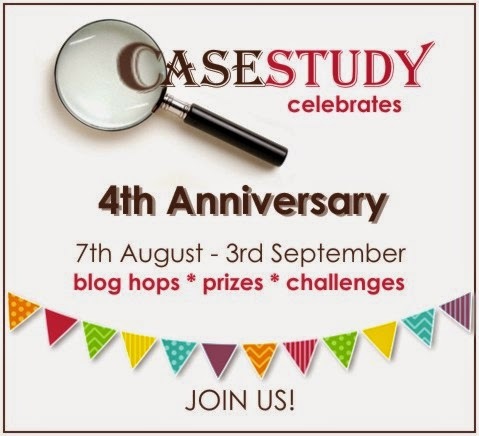 I am very excited to be joining in the festivities and celebrating with CASE Study on their fourth anniversary! 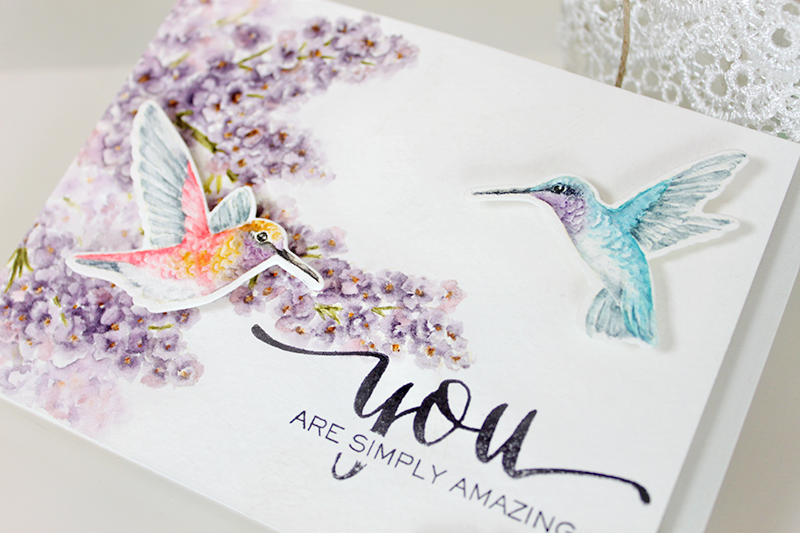 If you are not familiar, CASE Study is a wonderful challenge blog that celebrates all of the talented crafters out there by selecting a "muse" each month and inviting everyone to create a card or project based on a selected project created by the muse. It's a lot of fun and very inspiring. I have been introduced to so many wonderfully talented crafters in the community through this blog. For your chance to win, leave a comment here and on every stop on the hop by 11:59pmEST on 8/19/14. Please check out the CASE Study blog for complete details. Dawn Woleslagle <---- you are here! Thanks so much for stopping by. Good Luck! Things are super busy in The Studio right now, so sorry that I've been a little MIA. On top of that, I managed to really mess up my back and have not been able to be at the craft table or computer for too long. It's getting better though and I'm almost back in the saddle! But no worries, because the Wplus9 Team is still bringing it, featuring our new products from the August Release. Joni has a lot to share with you. I mean a lot. You'll have to check out her last three days to see what I mean. Check out this post to see several projects featuring Fresh Cut Containers. Check out this post to see several projects featuring Papel Picado. And you have to check out this post to see more projects featuring Flora & Fauna 2. 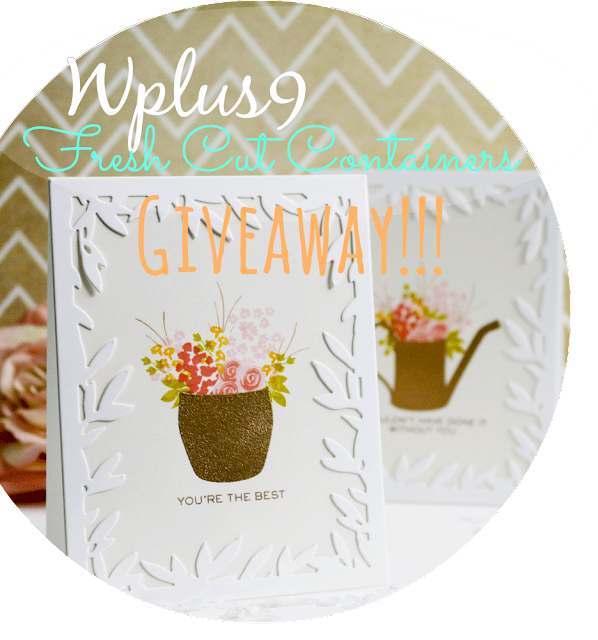 Oh, and did I mention she is giving away the Fresh Cut Containers stamp and die combo? Run on over there, it's almost over, you only have until August 14 at 11:59 p.m. EST to enter! The rest of the design team is still on fire as well. I love this duo featuring Flora & Fauna 2. These shaker cards are too cute featuring Punny Produce: Pears. 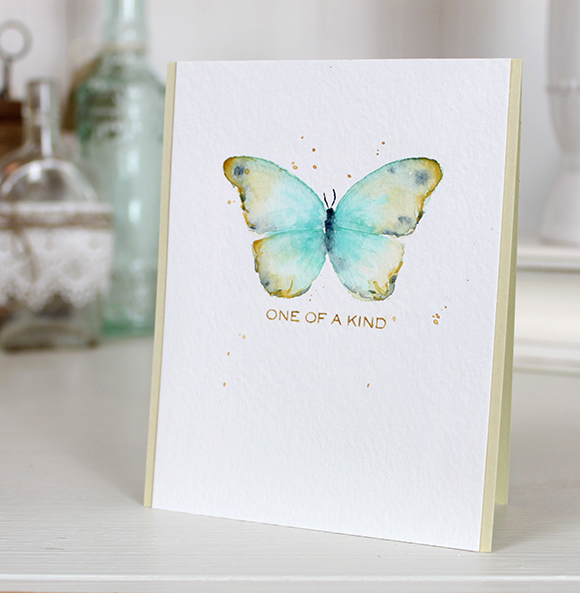 And this card shows off how several of the new release products go together so well! 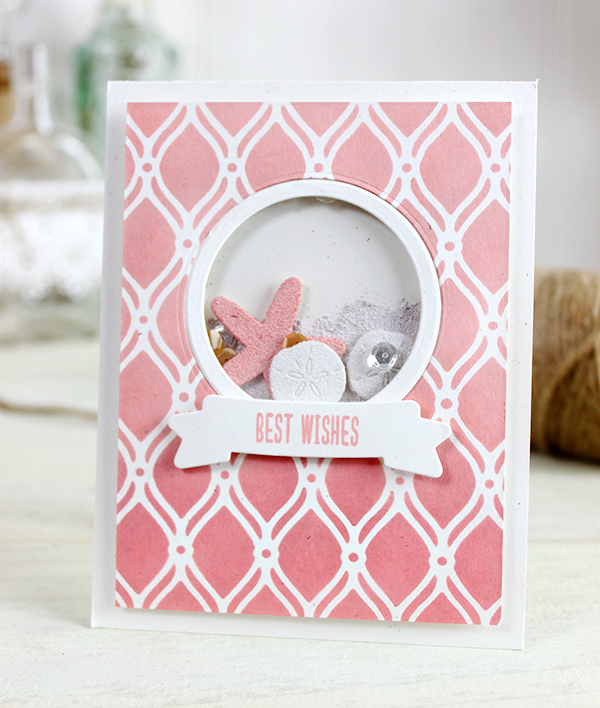 Chupa has a clean and simple card featuring the Clear Cut Stackers: Pears die that I just adore! 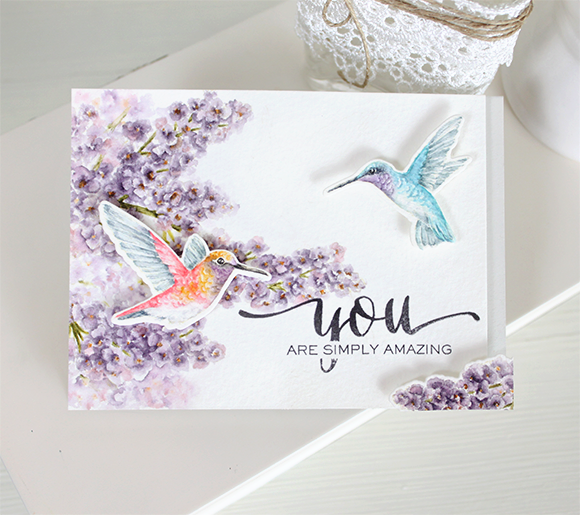 And everything about this "Pin-spired" card from Maureen is wonderful! Several of you know that we skipped a stamp and die release over the summer in favor of restocking the store. Well, that means I had several designs that I either (A) hold until Spring/Summer, or (B) do a special September Release. Hmm...Yep! That's right, we are not holding them, we are going to do a September Release! I hope you are as excited as we are! 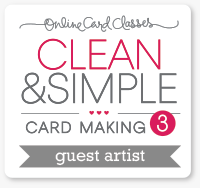 I'm sure that many of you know - and are taking - the latest Online Card Class, Stretch Your Stamps 2 class. If not, you really should! There is so much valuable information packed into these classes that it is unbelievable. I swear, considering the price of these classes, it's like highway robbery...in your favor! As always...thanks for stopping by! I will be back very soon! 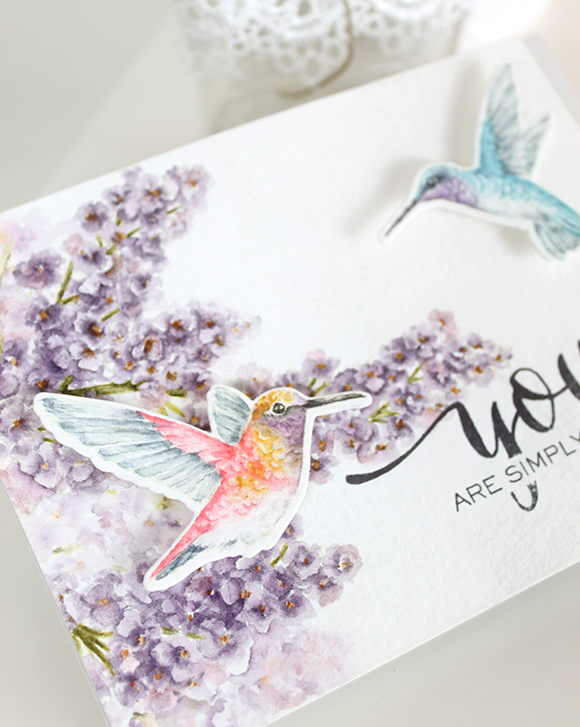 I am back as promised with a couple of projects and more videos featuring the newly released Flora & Fauna 2 stamp set. As I mentioned, I am a bit obsessed with watercoloring. I hope you don't mind! These are by far my most requested video tutorials, but if there is something else you would like to see, please leave it in the comments below. This first card is definitely a bit more time intensive than the card I showed you yesterday. 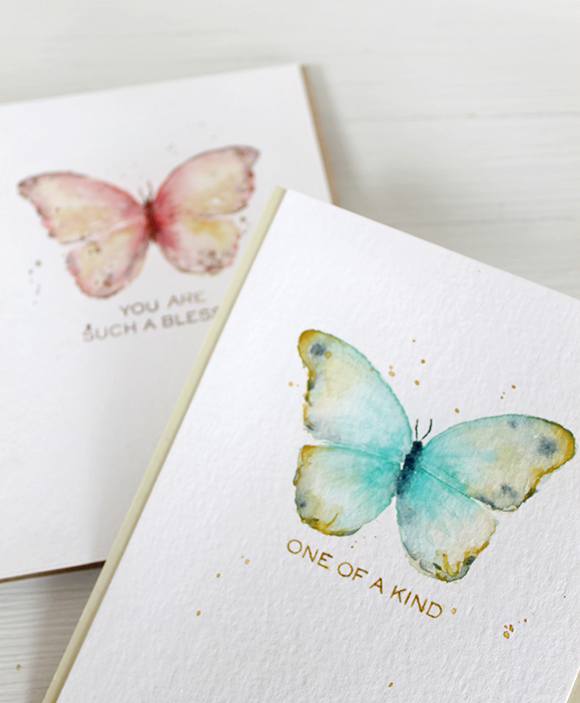 In yesterday's card, the coloring method involved laying down color with a Distress Marker and blending it with a damp paint brush. 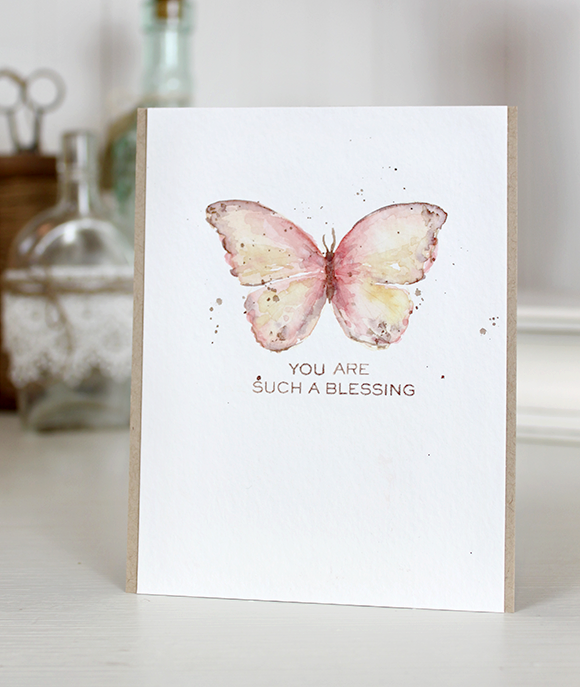 Today's first card uses traditional watercolors and Distress Markers together. This method provides some AMAZING results. However, it is a bit more tedious and time consuming. The technique itself is not difficult once you get the hang of it, but it does take a little practice. If you already enjoy coloring, you will love this technique. With a little determination and practice, you can do it! You can watch below for a step-by-step on achieving similar results. This was my practice run, and the featured card was my second attempt. So you can see that each result turns out unique, and you'll learn something each time you try it. These images are perfect for this method. The images have just enough detail to serve as a guide, but not so much that they get in the way. You really have room to stretch your creative muscles. This next set of cards is easy. I told you! I did not edit out much of the painting process in the video. Both cards took about 20 minutes to complete from start to finish, including drying time. The more loose and free you are with these, the better the results. I finished all three cards with sentiments from Hand Lettered Thanks and mounted them to a card base. I hope you enjoyed today's post. As always, thanks for stopping by and visiting! You can find a complete list of supplies for all cards below.